Dale Bumpers was virtually unknown when he announced his campaign for governor in 1970. Despite his lack of name recognition, his oratorical skills, personal charm, and outsider image put him in a runoff election for the Democratic nomination with former Governor Orval Faubus. Two other serious candidates were Attorney General Joe Purcell of Benton in Saline County and the outgoing Speaker of the Arkansas House, Hayes McClerkin of Texarkana. Bumpers barely edged out Purcell for the runoff berth but then easily defeated Faubus. In the general election, he swamped the incumbent moderate Republican Governor Winthrop Rockefeller. It was a Democratic year nationally, and the tide benefited Bumpers. Like Jimmy Carter of Georgia, Reubin O. Askew in Florida and John C. West of South Carolina, Bumpers was often described as a new kind of Southern Democrat who would bring reform to his state and the Democratic Party. His victory over Rockefeller ushered in a new era of youthful reform-minded governors, including two of his successors, David Pryor (later a three-term U. S. Senator) and future U.S. President Bill Clinton. In the 1972 Democratic primary, Bumpers easily defeated two opponents, including the highly regarded State Senator Q. Byrum Hurst of Hot Springs. In the general election, he swamped the Republican Len E. Blaylock of Perry County even as Richard M. Nixon was handily winning Arkansas in the presidential race. 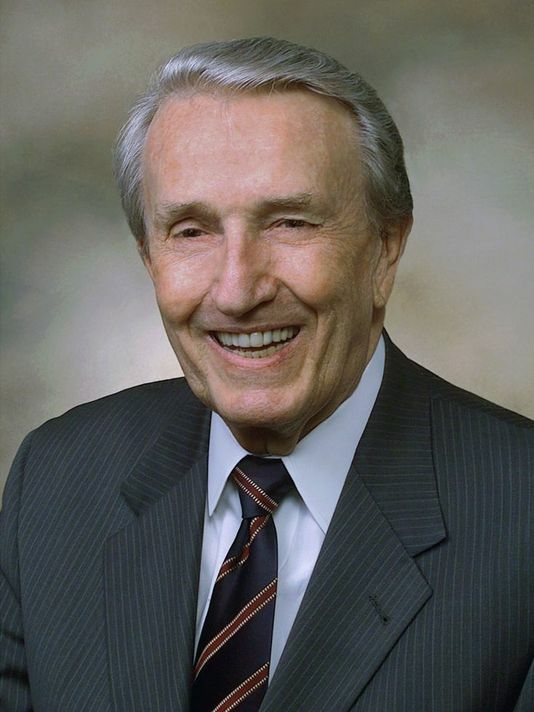 Dale Bumpers was elected to the Senate four times, beginning with his huge victory over Fulbright, the veteran chairman of the United States Senate Foreign Relations Committee. Bumpers chaired the Senate Committee on Small Business and Entrepreneurship from 1987 until 1995, when the GOP took control of the Senate for a dozen years following the 1994 elections. Bumpers served as ranking minority member of the Senate Committee on Energy and Natural Resources from 1997 until his retirement in 1999. In the Senate, Bumpers was known for his oratorical skills and for his prodigious respect for the Constitution of the United States. He never supported any constitutional amendment. 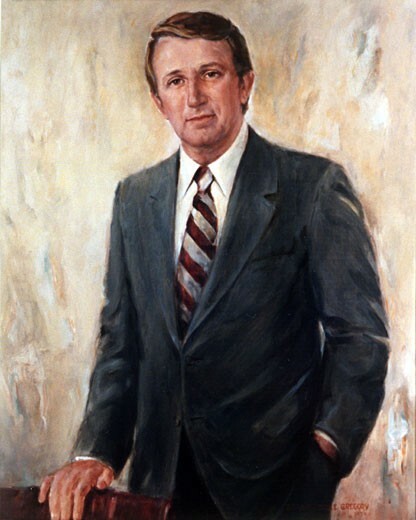 Dale Bumpers decided not to seek the Democratic presidential nomination in 1984 and 1988, despite support from many colleagues, including Senator Paul Simon of Illinois, who ultimately also contested the 1988 nomination won by Michael Dukakis. Initially named as one of Walter Mondale’s top potential choices for his vice presidential running mate in 1984, he took his name out of the running early in the process. 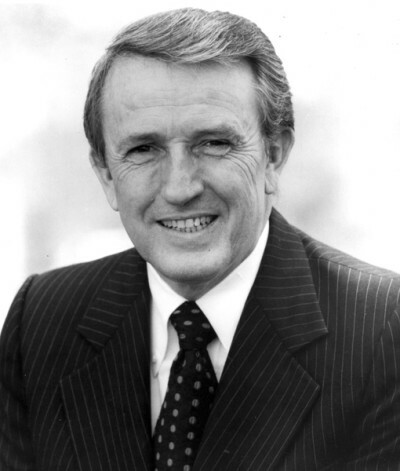 Dale Bumpers stated that his main reason for not running was fear of “a total disruption of the closeness my family has cherished.” Many observers felt that Bumpers perhaps lacked the obsessive ambition required of a presidential candidate, especially one who would have started out the process with low name identification. Another factor often mentioned was Bumpers’ key vote in killing labor law reform in 1978, a vote that angered organized labor and had clearly not been forgotten by labor leaders nearly a decade later. After a period of failing health, Dale Bumpers died on January 1, 2016, at his home in Little Rock at the age of 90. He had Alzheimer’s disease and had sustained a broken hip shortly before his death. He is survived by his wife and three children, Brent (born 1952), Bill (born 1955), and Brooke.